When a DIY Project Becomes a Legal Minefield. This Foxnews.com article points out some important things to make sure of when making improvements to your home. Many of the sellers I have represented over the years have found out the hard way once a buyer completes a title search on their home that improvements were made without following the required legal procedure. A DIY project can give your house a new lease on life. But major renovations can also be fraught with legal issues. Your city, county and state probably have laws on the books regulating the proper way to tackle building projects. Before you pick up a hammer, here are some common legal issues to watch out for. 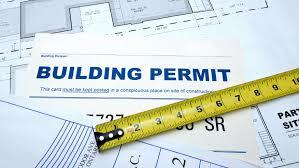 The first stop for any renovation project should be your local government’s permits office. While your DIY project might not require a permit, it’s hard to know for sure because every local government has its own rules governing building projects. For instance, some municipalities don’t require permits for structures smaller than 120 square feet, which means you can build a new shed, a free-standing garage, or even a tiny home without having to fill out any paperwork. Other areas, however, might require that you fill out some paperwork and pay a few for all new structures built on your property. Permits often apply to work done inside the house as well, and can be required for projects like tearing down a wall, expanding a window or even a simple kitchen remodeling job. If you’re working with a licensed contractor, they should know which permits you’ll need for the project and obtain them for you. If you’re taking on the project yourself, however, you’ll need to make a stop by your city’s permit office or website to see what’s required. It’s often not just enough to have a permit to do the work. The project also has to adhere to a city’s building code. If you’re looking to tackle a project yourself, make sure you study up on the building code, which can cover things like how far wall studs should be spaced, or the proper use of fire retardant materials. And while you might be a seasoned DIYer, there are some projects that you might not be legally allowed to complete on your own. In most cities, major changes to the electrical or plumbing system require a trained and licensed technician to complete the work, or sign off on the completed project. While you might be able to do the work on the sly without shelling out for a licensed technician, be warned: work not done to code can come back to haunt you when you try to sell your home. Whenever you add value to your home, your state and local government will probably want their cut. Major home improvements that increase the value of a home often add to your property tax bill. In fact, part of the reason local governments require permits is so that the assessor’s office will know when you’re undertaking a project that will increase the home’s value. But before you start shelling out more in taxes, keep in mind that you can challenge your property tax assessment. For instance, a local government might try to classify a new sun room as adding to the square footage of the house. But in a winter climate, an uninsulated sun room probably shouldn’t be treated as an additional room, and might be taxed more like an addition to the garage or screened-in porch. Living in a historic building can have its advantages. In addition to the charm of inhabiting a piece of history, many tax breaks are available to owners of historic residences, including tax credits for renovations. However, while you might be able to save some money on your tax bill, expect to have your renovation project heavily scrutinized to ensure it protects the character of the home. How poor credit costs you on homeowners insurance.